If you have looked at itineraries and find that they are not working for you, then a private customized tour may be perfect for you! We’ve had custom tours with 2 people and 20 people, short tours and long ones, tours for people who wanted to slow things down and people who wanted to speed things up! We’ve created private tours of Ireland in the past for family groups combining their vacation with attending a wedding in Ireland, small groups with a shared interest, be it photography, birdwatching, history or food, people who wished to visit places special to them but which other itineraries don’t reach. There really is no typical custom tour – they are as different as the people who dream them up! 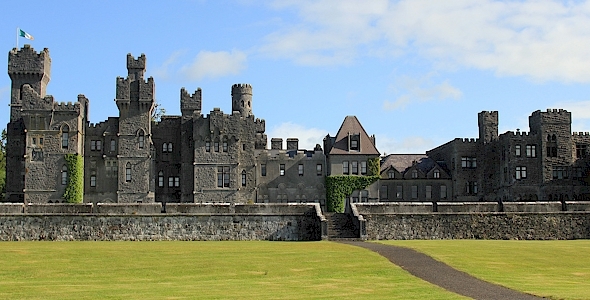 Creating your customized private tour of Ireland is easy – with our help! We will ask you for some information – in as much detail as you wish – and then we start working to create the perfect itinerary for you. We will liaise with you as much or as little as you wish at the planning stage. Some people like to be involved with every aspect of their tour, others are happy to tell us what they want and leave the rest to us (an option that many very busy people choose!). Your tour can start anywhere – we can pick you up at an airport, a train station, a hotel, anywhere that suits you. The same applies at the end of your tour, we will drop you to any departure point of your choice. We will book accommodation in any type of hotel that suits you. Typically we will book 5* hotels or particularly good boutique hotels – but we also know of very special farmhouse or manor house accommodations that we will recommend if we think they’d suit your group. On all of our tours we can, and often do, take spontaneous detours along the road, something that simply isn’t an option if you tour Ireland by joining a larger group. So if you see an intriguing signpost or want to follow that winding road to the lake in the distance, we will happily make a detour for you. If your group has diverse interests – perhaps one loves gardening, another golf, one is fascinated by history and another just wants to relax in a spa – we can arrange for the group to split up to pursue their special interests on certain days. If any members of your group has mobility issues, you can be assured that their enjoyment of Ireland will be effortlessly catered for. We will plan an itinerary that will work for all members of the group, whatever their ability.